J Thomas & Associates, serving families of the Houston metro area from offices in Sugar Land, announces a new charity campaign to support the needs of local homeless families. The plan is to direct raised funds to assist Fort Bend Family Promise in their work to move families into permanent housing. In these challenging economic times, all too many people are one paycheck, one medical bill, one car repair away from homelessness. This is a community problem; one which should be faced together. J Thomas & Associates Insurance Agency, serving the families of southwest Houston and surrounding communities by continuing it’s commitment to act as Agents of Change in the community, announces a new partnership with Fort Bend Family Promise. The organization works closely with area homeless families to fulfill immediate needs and help them move into permanent housing. Donations to this worthy organization are now being accepted at: https://donatenow.networkforgood.org/fortbendfamilypromise. 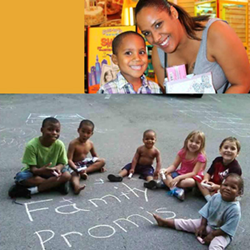 Fort Bend Family Promise (FBFP) provides shelter, meals and comprehensive support to families without homes in Fort Bend County, TX. There are an estimated 6000-9000 homeless people in Fort Bend, nearly half of which are children. Believing that homelessness carries a financial and societal cost to the entire community, FBFP and their devoted volunteers maintain a partnership of local churches and social service agencies to enable families regain their housing, their independence and their dignity. Case managers work with families to develop an individualized plan to attain safe, affordable housing and develop the confidence and skills they need to achieve long-term independence. More than 80% of the guests they serve obtain and sustain permanent housing. The agency is promoting the campaign through social media channels, email and text message communications, as well as through their monthly magazine, which is delivered to thousands of households in Sugar Land and the Houston metro area. Our Hometown magazine reserves a full page to feature the initiative for FBFP, the electronic Flipbook version of which may be accessed here: http://www.jtinsuresyou.com/Our-Hometown-Magazine_39. To join J Thomas & Associates in supporting FBFP and the needs of homeless neighbors, donors are encouraged to visit http://www.jtinsuresyou.com/Supporting-Families-In-Need-Of-A-Home_20_community_cause, and also to share the page with friends and family. Utilizing its own resources and seeking the help of its own network of customers and business partners, J Thomas & Associates marches on to ensure customers are always in good hands. The agency just recently launched the master charity program, selecting every 30-60 days a new organization, family or individual to support. Once the current campaign is over, J Thomas & Associates will continue to work closely with Fort Bend Family Promise and other nonprofit organizations in the area, to ensure resources are directed into capable hands which can help better the local community, one family or person at a time. To learn about past campaigns, readers may visit: http://www.jtinsuresyou.com/community-cause. More information about the agency and Fort Bend Family Promise are available at http://www.jtinsuresyou.com/ and http://www.fortbendfamilypromise.org/default.asp. J Thomas & Associates’ mission is to provide the best insurance and financial services in the industry, while delivering consistently superior service. The primary goal of Jason Thomas and his team of caring professionals is to protect the assets for which their clients have worked so diligently, and to help develop strategies for long-term financial security. They believe their success is measured by customer satisfaction and the value brought to their clients’ lives. The dependable agents at J Thomas & Associates may be reached by calling 281-277-7533.